Love Live! School Idol Project starts with the shocking announcement that Otonokizaka High School is to close, so will no longer be accepting new students. All the girls are are upset at the news, but none more than Honoka Kousaka. 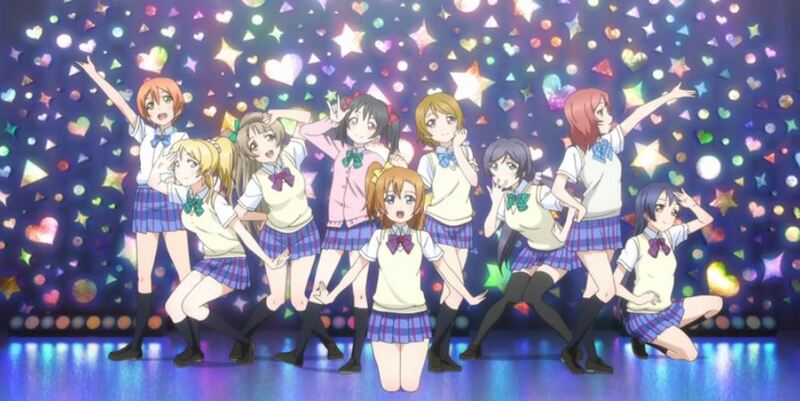 In an attempt to attract more students to the school, she lands on the idea of forming a school idol group. The main opponent to the idea is Student Council President, Eri Ayase. 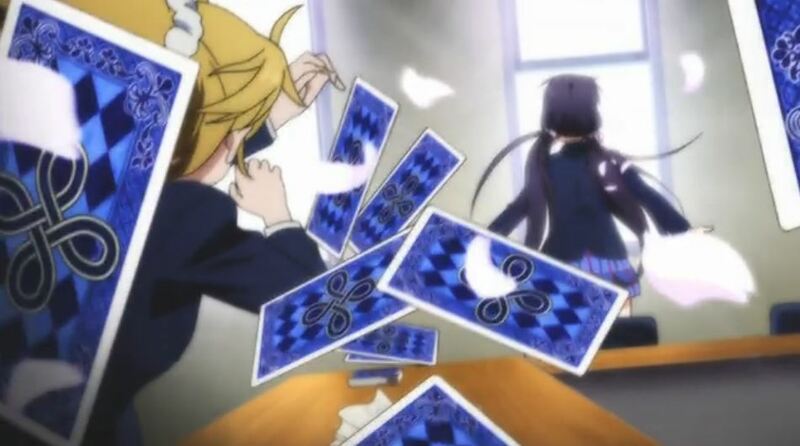 But Vice President Nozomi Toujou is more encouraging to the group, and we learn the reason behind this is because she was led by her tarot cards. We are not really introduced to our card-wielding character until the second episode. 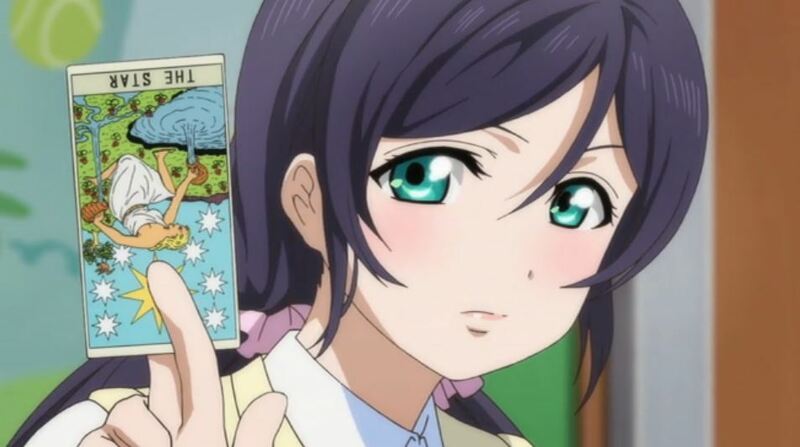 But over the course of the series we learn Nozomi volunteers at the local shrine and is also into fortune telling. 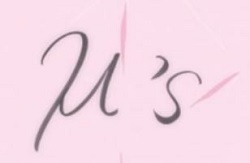 We find later she was instrumental in the development of the School Idol Club from the very beginning. Not knowing what to name their group, Honoka, Umi and Kotori put out a suggestion box - and gain one submission, μ's (pronounced muse). They take it, not at that point realising its full meaning. In Greek mythology the nine muses were goddesses of inspiration, and responsible for (among other things) the knowledge behind song lyrics. Nozomi suggests the name after the cards tell her the idol group will be incomplete until it has nine members, making the name a kind of self-fulfilling prophecy. In the beginning, Nozomi believes she can only support the group from behind the scenes, and she does so in a number of devious ways. Using filming the Idol Club for the Student Council as a guise, she questions why Honoka is the leader of the group. This leads to a drawn out contest to see who is the best idol. Eventually all the girls have the realisation that they are all equally good, and so each should get a turn in the centre during their dance routines, and each should have a solo part when they sing. This revelation guides all their future song-writing and choreography. Nozomi feels she isn't the one who can give them any hands-on support, as the star card keeps appearing - and to her Eri is the star. Without them both, μ's is incomplete. When unforeseen events occur even Nozomi asks "Is this really what was supposed to happen?" In fact, things do not go well again until the group is back to the complete nine, so in many ways, she was (or indeed, the cards were) right all along! And even though things didn't go exactly to plan, there's always the second season! Reading deeper into Gakkougurashi, what is this anime, that seems to only show cute girls doing cute things, really about? What themes and messages are being portrayed as these girls are... being cute? Sailor Moon Crystal is a reboot of the original Sailor Moon anime. While many of the themes between the two series are similar, the story in the newer series more closely resembles Naoko Takeuchi's original manga. When one thinks anime girl, the first image that pops to mind is often a girl in a school uniform. From fairly traditional to super unique, here are 15 iconic anime school uniforms that have made their mark on the anime world.